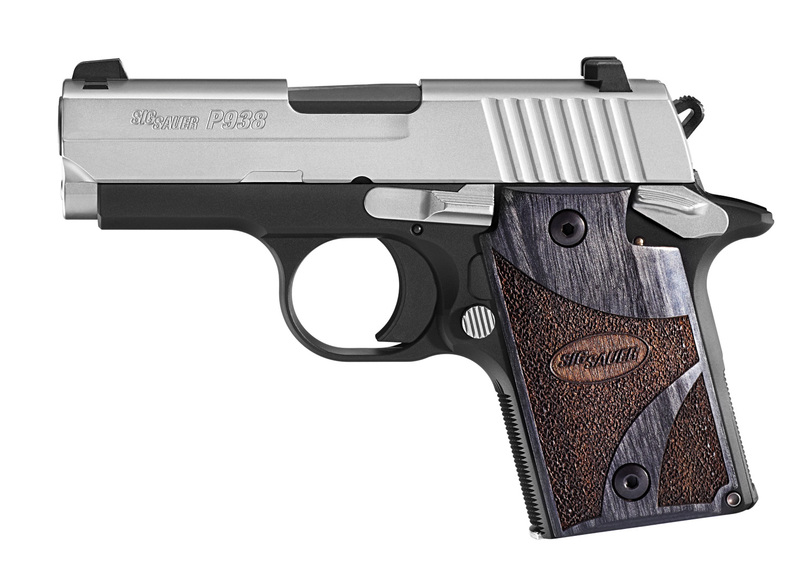 The Sig P938 is a great choice for concealed carry. Modeled after the 1911, the single action trigger makes this sub-compact gun much easier to shoot than other firearms of the same size. The P938 comes standard with an ambidextrous thumb safety and night sights. The standard magazine hold six rounds and sits flush in the magazine well, but some models also include a seven round magazine with a rest for the pinky.